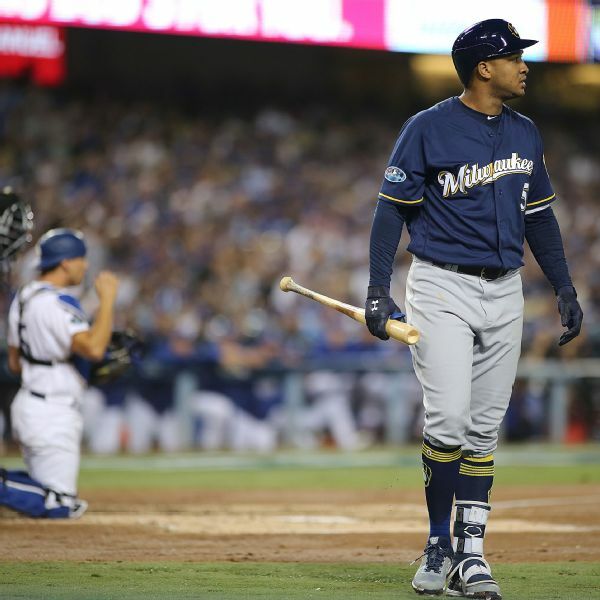 After hitting .202 with four homers and 21 RBIs in 46 games after the Brewers traded for him, the team made Jonathan Schoop a free agent by failing to offer a contract for 2019. 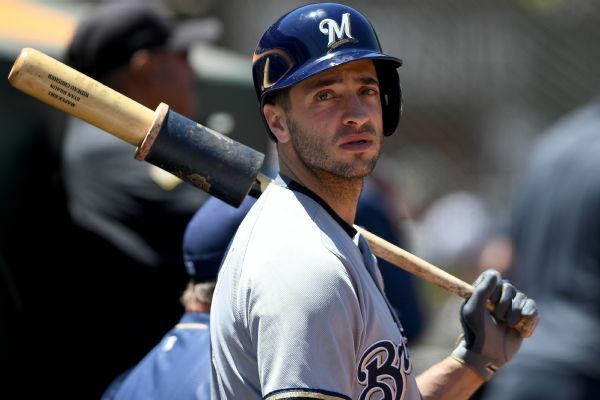 After hitting two home runs Tuesday, Brewers slugger Ryan Braun had to leave Wednesday's game after experiencing tightness on the right side of his rib cage. 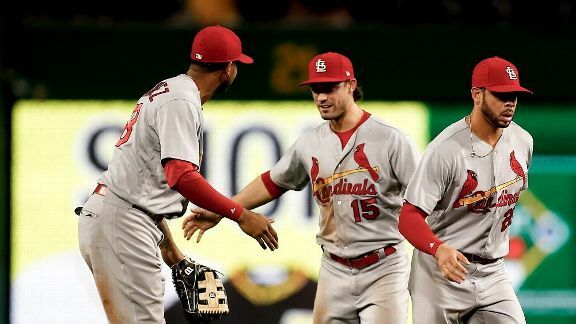 The increasingly common sight of some utility guy throwing a perfect inning? It's fun, but it's also kind of a fraud. 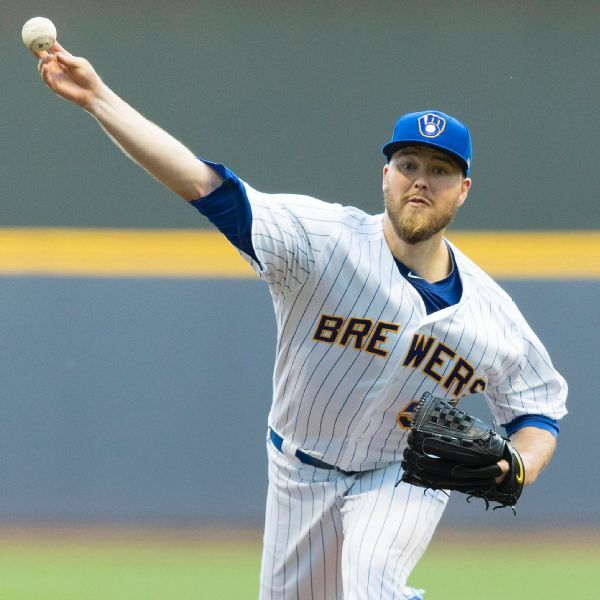 The Milwaukee Brewers have selected the contract of utility player Nick Franklin from Double-A Biloxi, sending infielder Eric Sogard to Triple-A Colorado Springs. 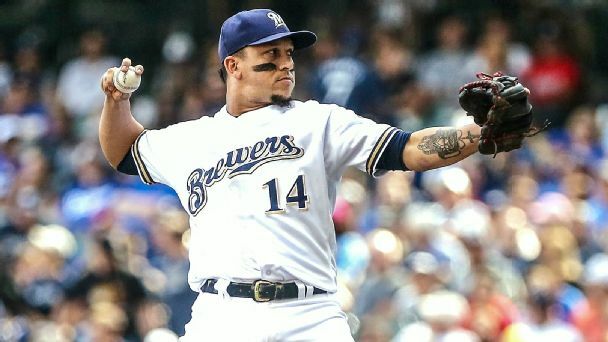 The Milwaukee Brewers have avoided arbitration with all of their eligible players after reaching one-year agreements with pitchers Jimmy Nelson and Corey Knebel, as well as infielders Jonathan Villar and Hernan Perez. 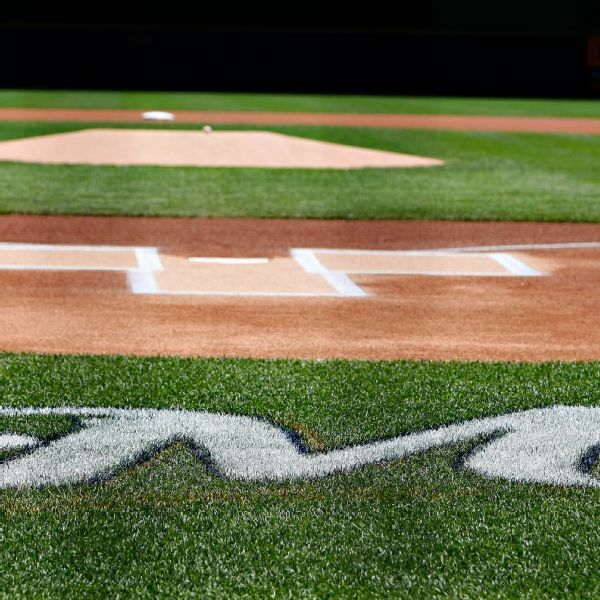 What are the remaining schedules, certainties and X factors for the contenders? Here's a closer look. 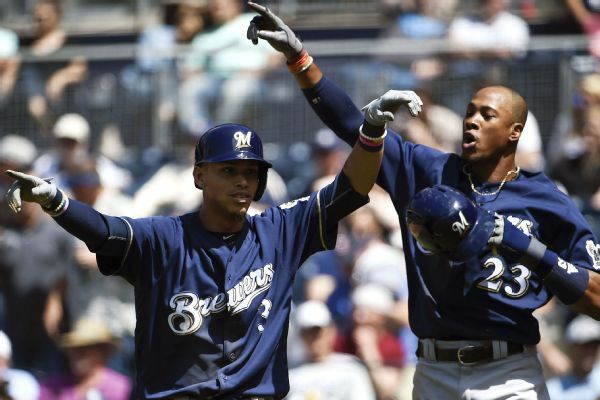 It may be fleeting, but Milwaukee is in first in the NL Central, while the Twins' righty has been lights out in two starts since being called up. 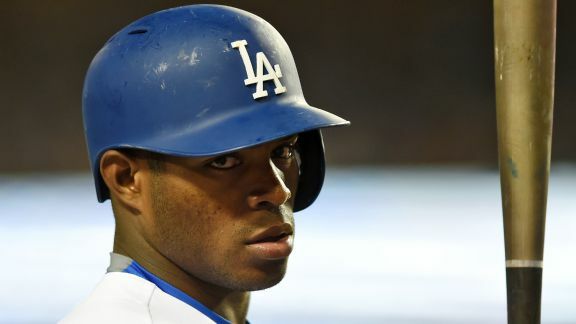 Yasiel Puig's best chance to bounce back is to rebuild his approach, but he can't do that until he gets to work. Plus links from around the majors. 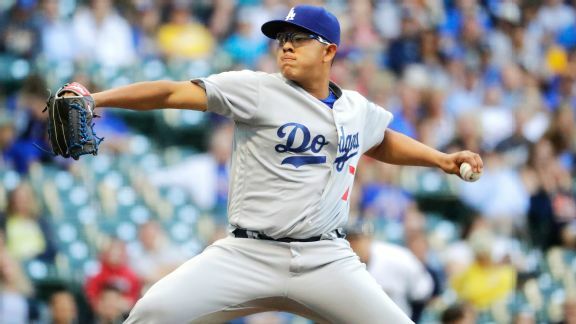 The Dodgers planned to have Julio Urias back in the minors by now, to keep him fresh. But the news about Clayton Kershaw could mean Urias stays put. 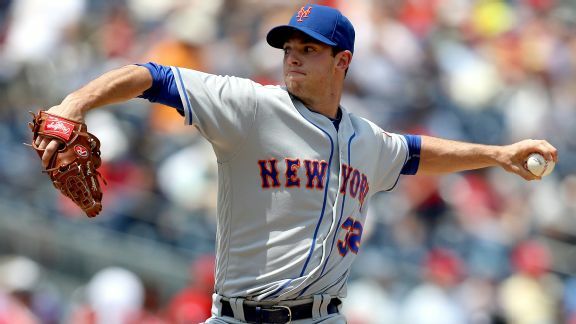 Steven Matz takes the mound for the Mets' series finale in Milwaukee.